Partner coordination refers to the extent to which the channel partner of an IT adopting firm carries out coordination activities efficiently. Interfirm coordination in a supply chain by its nature implies dyadic involvement of two channel members (Bowersox et al., 1999; Clemons and Row, 1992; Lewis and Talalayevsky, 1997). 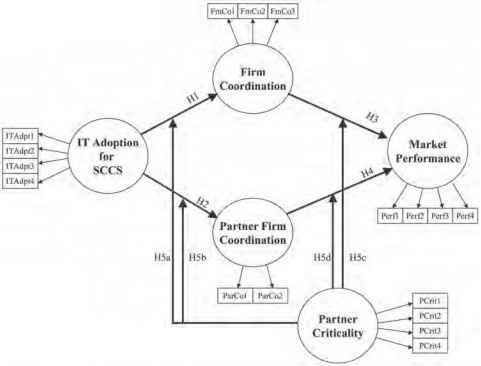 As a result, adoption of advanced IT for SCCS by a firm affects not only the adopting firm but also its channel partners because it should accompany enhancements of interfirm connectivity in SCCS (Bowersox et al. 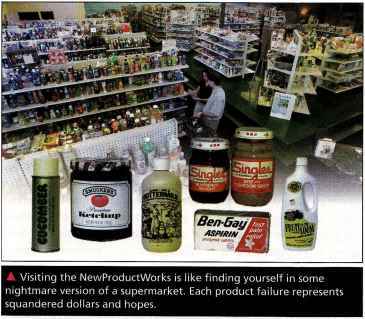 , 1999; Clemons and Row, 1992) and, thus, helps all partners within the network coordinate effectively (Clemons and Row, 1992). However, the literature does not pay attention to the effect of IT adoption of a firm on the coordination activities of its channel partners within the supply chain. As a simple illustration, imagine adoption of the ATM system by a bank. Adoption of ATMs by a bank naturally helps enhance customer service (e.g. transactions) of the bank. At the same time, it also provides significantly improved convenience to the customers. That is, to the extent advanced technology is adopted for dyadic relationships, the benefit will be distributed across the involved parties. Likewise, in a supply chain where dyadic channel relationships prevail, adoption of advanced information technology for SCCS by a firm is expected to improve the coordination activities of its channel partners (Clemons and Row, 1992). Thus: H2. IT adoption for SCCS improves partner coordination.